Dingdong Dantes wife Marian Rivera file her maternity leave as a host on her program Tadhana. It is for preparation of her upcoming delivery any day this week or first week of April, this will be Dingdong and marian’s second baby. They are having a baby boy, and his name will be announced on their YouTube channel The Dantes Squad. 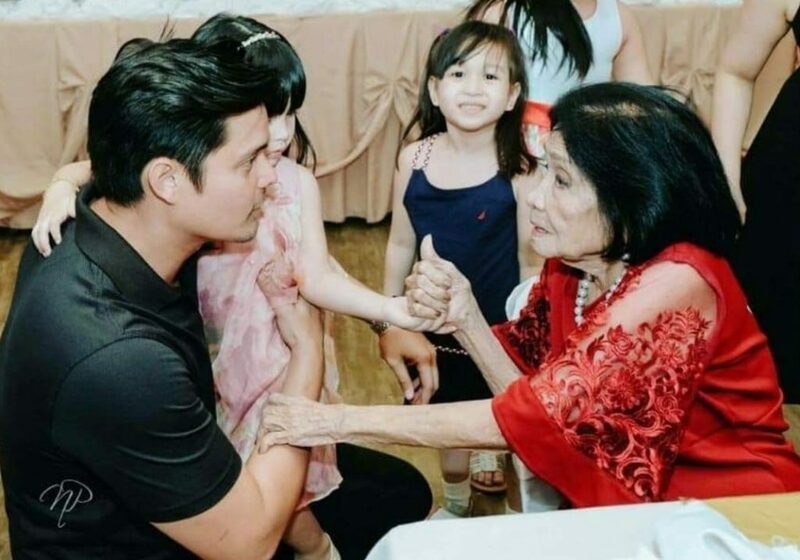 Meanwhile, Zia attended the birthday of her great grandma with her Daddy Dong. Mama Marian was not able to attended because the award ceremony of her Lifetime Achievement Award was held the same time. Ate Zia sang a duet with her cousin for her Mamang Choly. They sang ‘A million dreams.’ One of Zia’s favorite song. Here’s the full video. We added a subtitle. Ate Zia did such as good job. Now that Dingdong and Marian’s first born daughter Zia’s baby brother is coming, she will be a big sister now. The Kapuso actor won’t go far when traveling with work because he want to be just a few minutes away when Marian’s D-day come near. Marians pregnancy and her upcoming delivery of their second baby is the reason why Dingdong postpone his plan to run for politics. Because he prioritize his family first.